Pioneer Motion Pictures has unleashed a new teaser and poster for the new slasher film 'PITCHFORK'. The first film from Emmy-nominated choreographer Glenn Douglas Packard, Pitchfork kicks off a new franchise of horror, sending a broken and misshapen beast on a rampage fueled by secrets and betrayal. 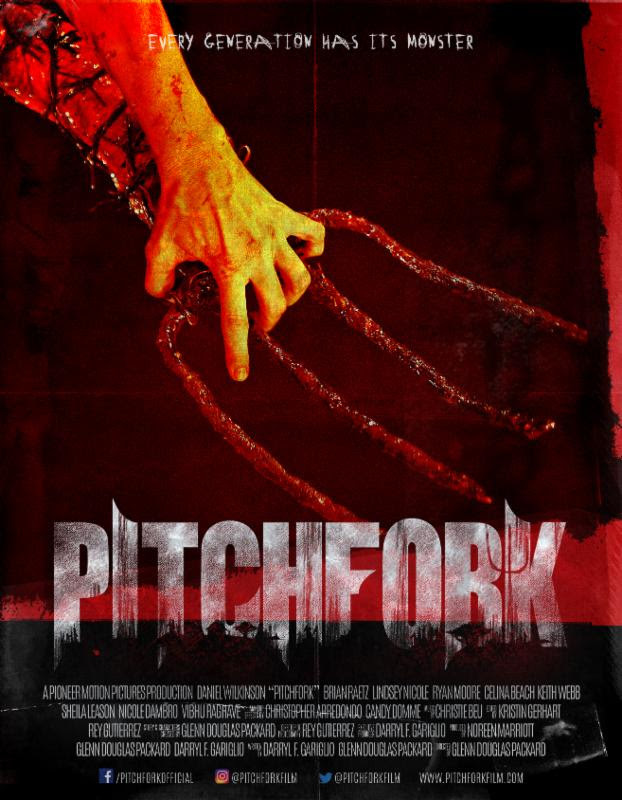 'PITCHFORK' will make its world debut this year.